For everything, there is a season, and it is also true in advertising. For example, all major coffee chains offer iced drinks all year round, but it’s not until the summer season rolls around that they start to shift their advertising budget towards the marketing of those goods. It makes sense to advertise items when they are in the highest demand, as this usually means getting the biggest bang for your buck. Not everyone appears to understand this, though, as there are a few common mistakes that are made with advertising throughout the year. Let’s take a closer look at some of them, in hopes that you can avoid these perilous pitfalls. Ads for ski trips and equipment do well in the winter months, as you would expect. However, if you are still blasting those same ads out after the snow has long gone and the summer is in full swing, you are essentially throwing money away. The prime time to earn with seasonal items is during the season that they are in demand. 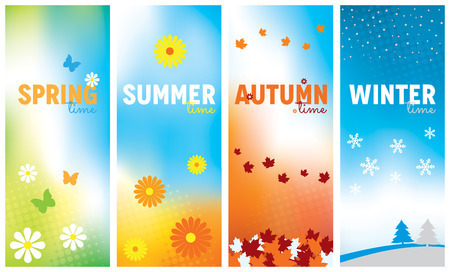 Start looking to what you can advertise in the coming seasons instead of standing still all year round. You should know exactly when your products or services are considered out of season, and you should adjust your advertising budget accordingly. Do you think that air conditioning companies spend the same amount on advertising in the winter as they would in the summer? Of course not, as they know that their ad budget should be increased in the spring and summer months before being drastically reduced in the fall and winter months. A new season, particularly one that is important to your industry, is a time to start fresh. Many advertisers miss out on this opportunity by doing nothing but recycling old ads that use the same image and text as the year before. The ad is boring and not memorable to viewers. They simply assume that your business is not keeping up with the current trend and is no longer relevant. Freshen your ads each year or even more frequent in order to make them exciting for your audience. Knowing when to boost or ease back on the amount of seasonal advertising money spent can only be effectively done when there is historical data to draw upon. You need to be able to know when the ads are going to stop being effective, as holding on too long can mean spending money that will never be recovered. Using an ad tracking server to keep track of all ads through multiple seasons is the only way to do that. A calendar tells you when one season officially ends and another begins, but consumers and trends seldom follow those exact dates. For example, people will start investing in their spring wardrobe ahead of time so that they are ready to look and dress the part when the weather decides to take a turn for the better. You need a definite plan and schedule in place as to when you are going to make the necessary changes to your seasonal advertising.